Formed in 1919, this golf only Club has existed for a majority of its life as a nine hole course. The Club always owned an additional 65 acres of land adjacent to the course but never could be convinced to develop it. Finally the Club has had the resolve to expand to 18-holes. 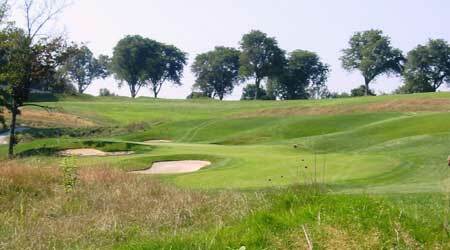 The nine hole addition takes advantage of varied terrain with three holes playing along a meandering creek. Adding the nine holes has allowed the Club to become one of the most vibrant and active Clubs in the area.